In our next We Need to Talk About podcast, we’ll consider the key questions surrounding AI. What are your views? If 2017 was the year artificial intelligence rose to prominence, 2018 is when we’re seeing it go mainstream. Whichever area you work in, it’s likely AI will become increasingly prevalent in your everyday activity. Wherever you are in the world – whether you are an expert in AI, someone whose job increasingly uses AI or simply an interested reader we would like to hear from you. This is a topic of high priority on the international stage. Vladimir Putin has said he believes “the leader of AI will be the ruler of the world”, and China has stated its ambition to be the global AI leader. Meanwhile, Elon Musk has said he fears the threat of unregulated AI and autonomous weaponry and sent a petition to the United Nations calling for regulations on how AI weapons are developed. Mark Zuckerberg has said that Facebook will use artificial intelligence to fight against a vast variety of platform-spoiling misbehaviour, including fake news, hate speech, discriminatory ads and terrorist propaganda. But are governments acting quickly enough? What is the real threat here and what’s the existing framework of governance for AI technology? With robots increasingly being used to replace the work of humans, what does the future hold? 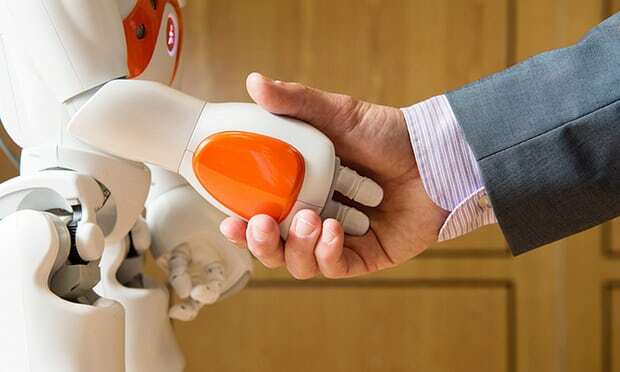 A new report from the Organisation for Economic Cooperation and Development (OECD) looked at the extent to which jobs may soon be automated in 32 different countries and found that 66 million people are at risk of losing their job to machines. That means 14% of jobs currently held by humans could soon be managed by robots. But in the UK, a report from PricewaterhouseCoopers argued that AI would create slightly more jobs (7.2m) than it displaced (7m) by boosting economic growth. So what will it mean for those industries whose employees are being replacedwith robots? Could an AI ever answer questions about the universe that scientists have worked their entire life trying to answer? Are we already seeing changes beginning to happen? From big data to AI: Where are we now, and what is the road forward?